Sept. 12. With Hurricane Florence approaching the coat, North Mecklenburg High School opened at noon today as an American Red Cross shelter for people fleeing the Category 3 storm. 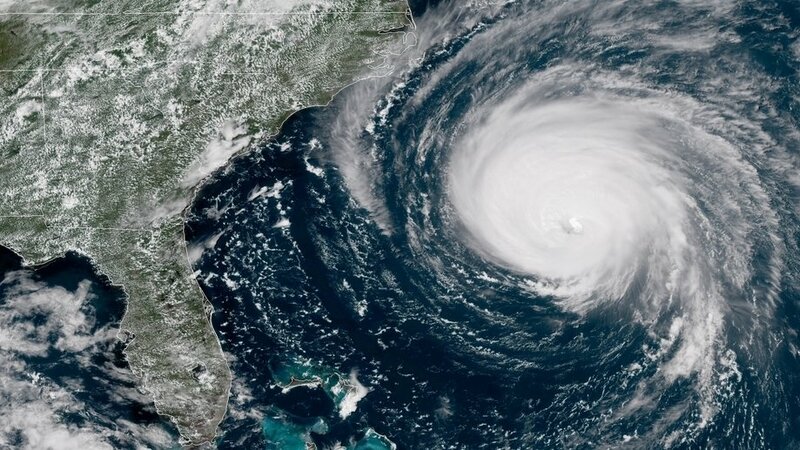 “This is a dangerous storm and could have significant impact inland.” said Angela A. Broome Powley, regional executive officer for American Red Cross Greater Carolinas Region. The storm could take days to rumble through the Carolinas. Gov. Roy Cooper urged residents to complete preparations and obey local authorities regarding evacuations. Of course, the impact will not be as severe in Lake Norman, the National Weather Service expects plenty of rain and wind. The coast will feel the first blasts tomorrow morning, with damaging, life-threatening surge, winds and rain. The forecast calls for storm surge higher than many homes. Winds that can blow down power lines and trees far from the eye of the storm. “Expect this storm to batter our state for days,” Cooper said. Power outages could last for hours, even days.